These Extra Wide JK Crusher Flares™ are 2" wider giving you 2" of extra tire coverage to help comply with local tire coverage laws while keeping more dirt and mud from being flung up on to the side of the Jeep by wider wheels and tires. The Jeep JK's thin sheetmetal fenders and stock plastic flares are among the most vulnerable body components when traversing the trail. Extra-Wide Crusher Flares™ are designed for those Jeepers who need extra tire coverage to satisfy local laws, or who simply want to keep more dirt and mud from flinging up onto the Jeep due to wide wheels and tires. 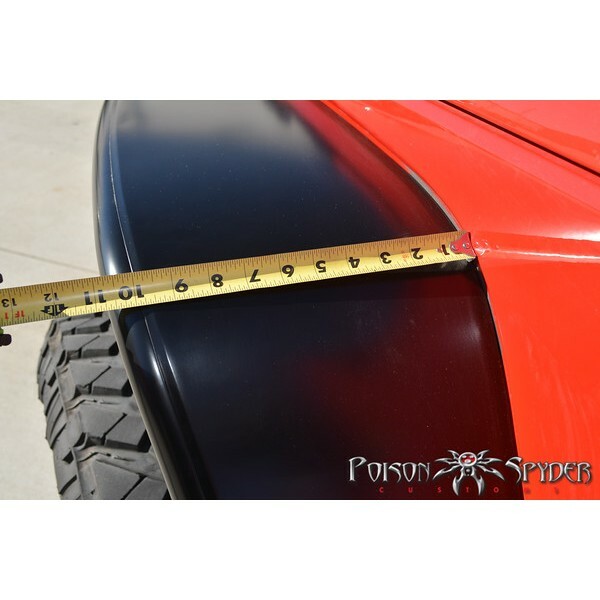 These Extra-Wide Crusher Flares™ measure 10-3/4"" wide at the widest point (measured from the Jeep's body sheet metal). Extra-Wide Crusher Flares™ provide an extra 2"" of tire coverage. 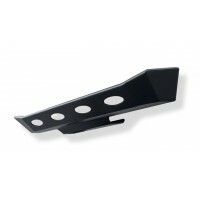 Not only are they wider at the top, they also stay wider toward the bottom for better mud-guard functionality. 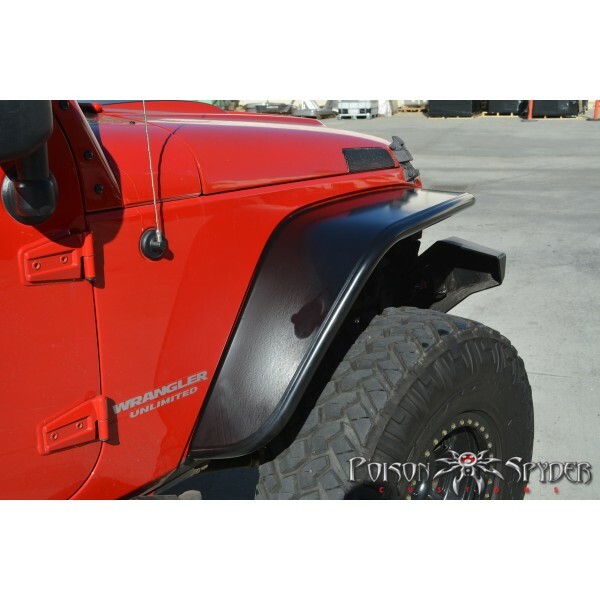 Poison Spyder also offers matching Extra-Wide Rear Crusher Flares™. 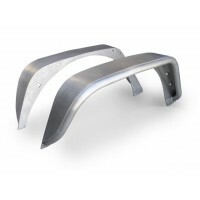 Constructed of Aluminum these are lighter in weight than the steel option, so might be the best choice for those looking to save weight on their heavy JK's in order to improve fuel mileage and gain an advantage off-road. 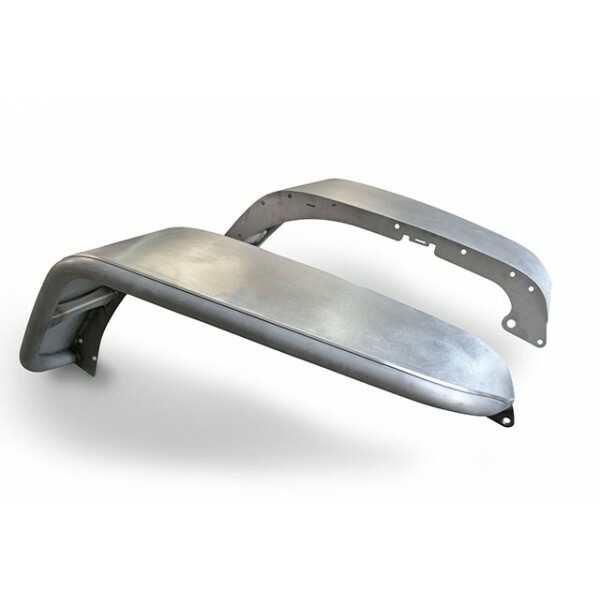 However, when wheeling with aluminum flares it is up to the driver to use more care and finesse, as the aluminum components are not going to be able to withstand the same direct impacts that steel can. The outer tube on our aluminum Crusher Flares is beefy .188"" wall thickness. Compared to our steel Crusher Flares which use .120"" wall DOM steel tubing. 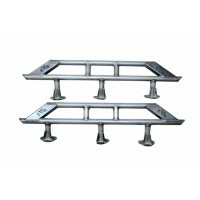 The thicker tube wall recoups some of the strength lost by going to aluminum, however the steel versions will still be stronger in a direct impact with the rocks. For reference, a steel JK Front Crusher Flare weighs 31.6 lbs (not including hardware), while an aluminum one weighs only 11.8 lbs. 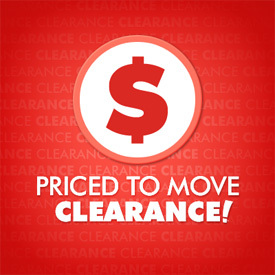 Which is best for you will depend on your particular intended use of the Jeep, driving style and other factors. The JK Front Crusher Flare™ kit comes standard with mounting provisions to replace the factory side marker with a high intensity 3/4"" round LED marker light. The addition of the LED provides a more modern and refined look that complements the function and style of the Crusher Flare™. 3/4" round, Amber lens LED lamp for use as a combination turn signal and running lamp, for use with Poison Spyder Customs DeFenders™, Tube Fenders, Crusher Flares™, or anywhere you'd like to mount them by drilling a 3/4" hole in a flat panel. 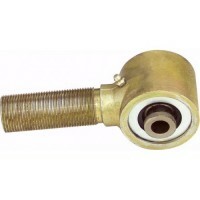 This is a 3-WIRE assembly, meaning it can be used as both a turn signal AND a marker lamp simultaneously. 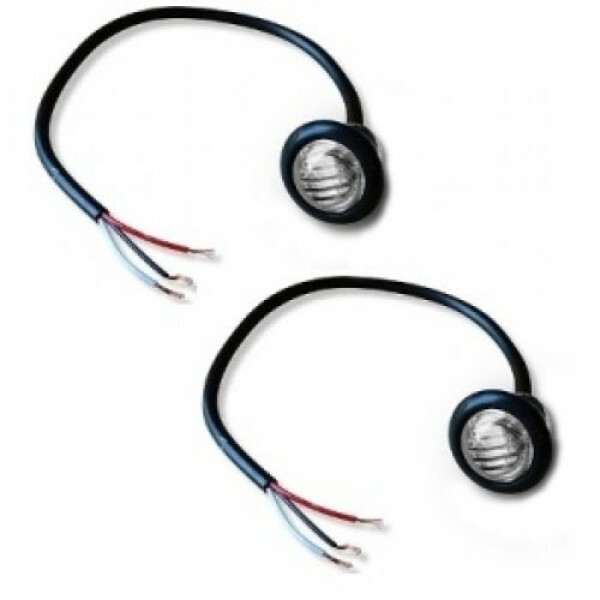 It can also be used as only a marker lamp (or only a turn signal) by using two wires and leaving the third wire unused. These high quality LED lamps are DOT-approved for use on your vehicle. Includes pigtail harness and mounting grommet. This item is a clear lense with amber LED. 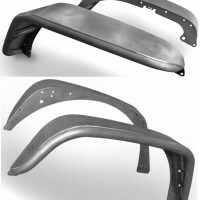 This product ships bare —it will need to be painted or powder coated prior to final installation. 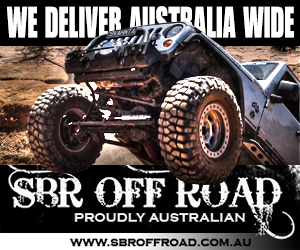 JK Rear Extra Wide Crusher Flares (Aluminium)These Extra Wide JK Crusher Flares™ are 2" wider tha..
JK Extra Wide Front & Rear Crusher Flares - Bare SteelThese Extra Wide JK Crusher Flares™ are 2"..